Ownership / Access: Owned now by the Pascal Family. Private residence and not opened to the public. Notes: Château d'Oyez is both a feudal mound, remains a Chateauvieux and a manor house long known as La Salle, which are located in the village of Bellac in the municipality of Saint-Simon (Cantal) department of Cantal (France). There on the highest part of the site an ancient feudal mound overlooking the village and where there are still spans two former speakers. 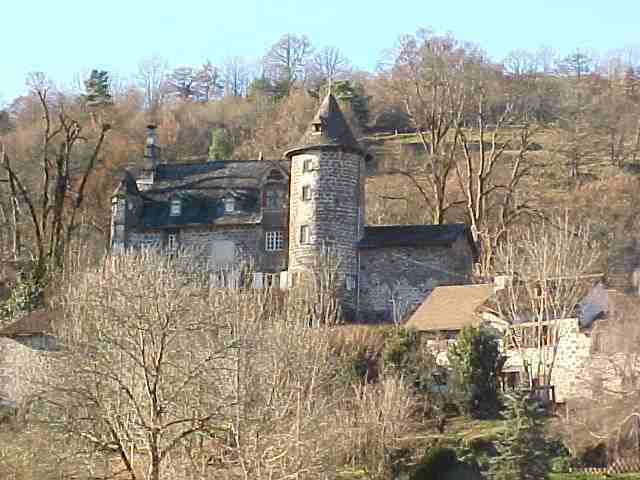 The castle controlled the passage in the Jordanne Valley. Near the village, a little above the road, there is a mansion, formerly the room Hear ye, comprising a rectangular building with a small octagonal corbelled turret and an old tower.